They are both root vegetables and a part of the Brassica genus, which explains why many people may be confused about the difference between turnip and rutabaga. Turnips are Brassica rapa and rutabagas are Brassica napobrassica. 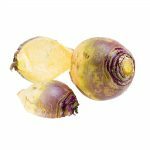 Rutabaga is otherwise known as a Swede, Swedish turnip, or a yellow turnip. The confusing part is that there are many similarities: they’re both root vegetables, and share a similar shape, colour, texture and flavour. However, there are many differences as well. Here’s a breakdown of the differences between these two awesome root vegetables. Turnip leaves are usually light green, thin and hairy, while the rutabaga’s leaves are bluish-green, thick and smooth. While both turnips and rutabaga can have a purple crown, rutabagas are typically larger than turnips because they are normally harvested when roots are 4-6 inches in diameter or lager. Turnips are harvested when only 2-3 inches in diameter. Rutabagas have a rough exterior that is normally coated in wax. The inside of a turnip is white, while the inside of a rutabaga is yellow. When cooked, turnips turn almost a translucent white, while rutabaga turns into more of a mustard yellow. 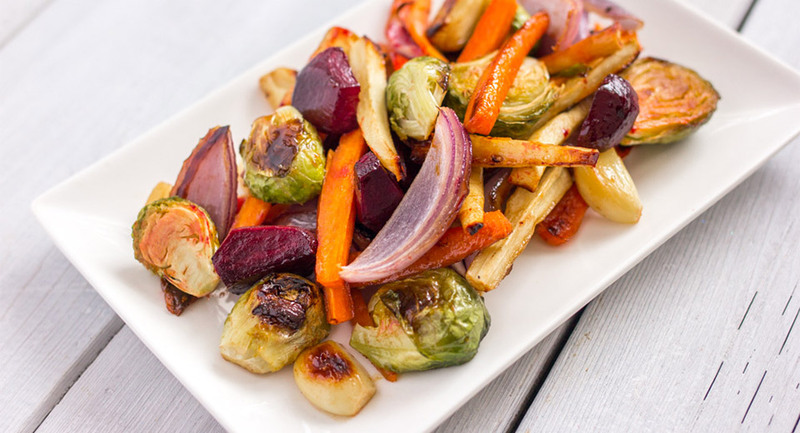 They share similar textures since they are both root vegetables that are crunchy when raw and have a tender bite when cooked. Because of their similar texture, they can be used almost interchangeably in recipes. Here’s where they really differ: turnips have a little zing that tastes like a cross between a radish and cabbage; rutabaga is milder in flavour and sweeter than turnip. If rutabagas are harvested after a frost in the fall, the flavour of a rutabaga can sweeten a little more. Both rutabagas and turnips can be eaten raw, steamed, boiled, baked, roasted, or stir-fried. Rutabagas are more commonly eaten cooked and baked in rich sauces or creams, while turnips are often eaten raw, cooked, or even pickled. Both vegetables are nutritious, fibrous, and contain lots of great flavour. Try using both to test their textures and flavour and see what you like best!